The Bold is Movado’s newest timepiece to feature the Museum® dial. Conceived by artist Nathan George Horwitt in 1947, the dial is defined by a single dot 12 o’clock, symbolizing sun at high noon. The Movado Bold collection comes in a variety of color variations and is available in either 3-hand or chronograph versions. The 42 mm diameter case is made of a composite of stainless steel and black TR90 resin. The case has a shiny polished finish. The Museum dial features an indigo blue dial with the signature dot at 12 o’clock. Black hands display hours and minutes functions – no seconds. Powering the Bold is a Swiss quartz movement. The dial is protected by a hardened K1 mineral crystal, which is scratch resistant, although not as resistant as sapphire. Black leather strap, 22 mm wide, with black buckle. Water-resistance is 30 meters. 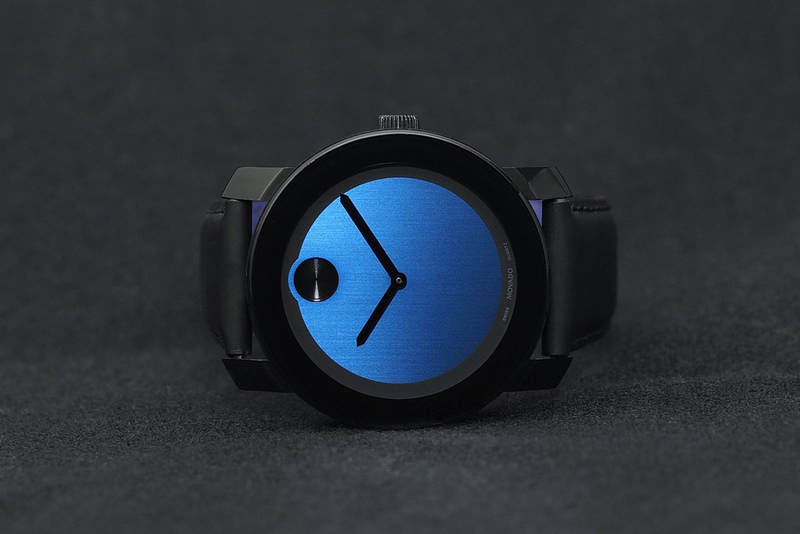 The Movado Bold is a basically a modernized version of the classic Movado Museum collection. I would have liked to see a solid stainless steel case, as opposed to the composite material, however, the price is good and I’m sure most people would prefer a lower price as opposed to a more robust case. Overall, the Bold feels very comfortable on the wrist. It is elegant, without being overly dressy. The price is $350 on (strap) and $495 with (bracelet).